Having spent most of Wednesday at the beach, we decided to do something a bit different on Thursday. Looking over the possible tourist spots we had two options, one was an old fortress up in the mountains, the other a temple by the sea. As the day was hot, we opted for the sea hoping for a cool breeze. 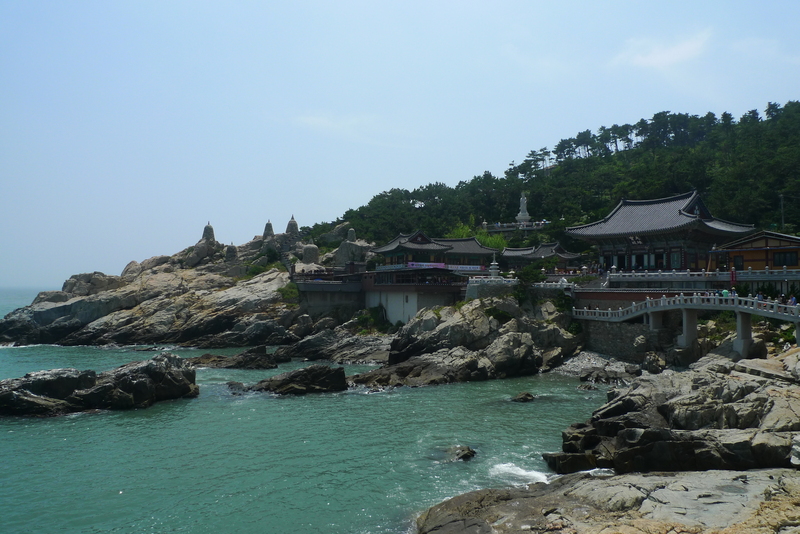 I think the temple was a bit odd, though located in a beautiful place atop jagged cliffs sloping down towards turquoise water. 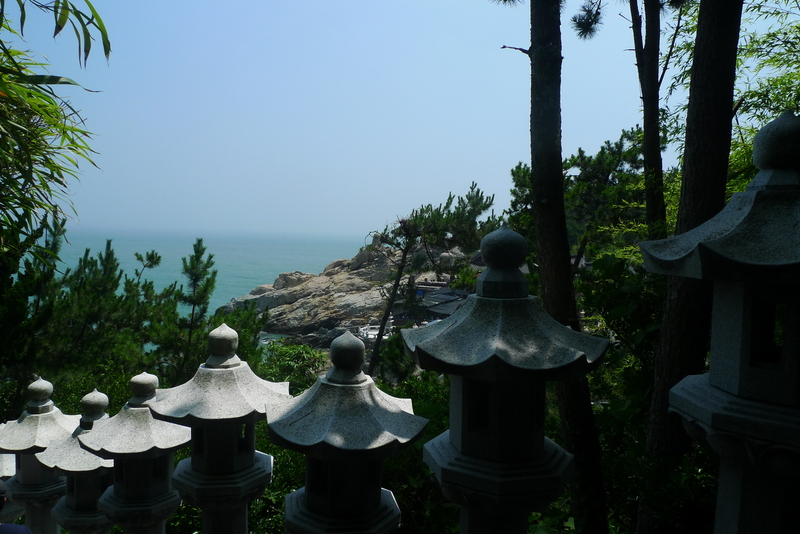 Except for the scenery it was not much to see or do there, and to be Frank, the small peninsula just off Haeundae beach has almost as good scenery. Not entirely worth the longish bus ride to get there, but not all bad. In hindsight perhaps the fortress would have been a better choice. 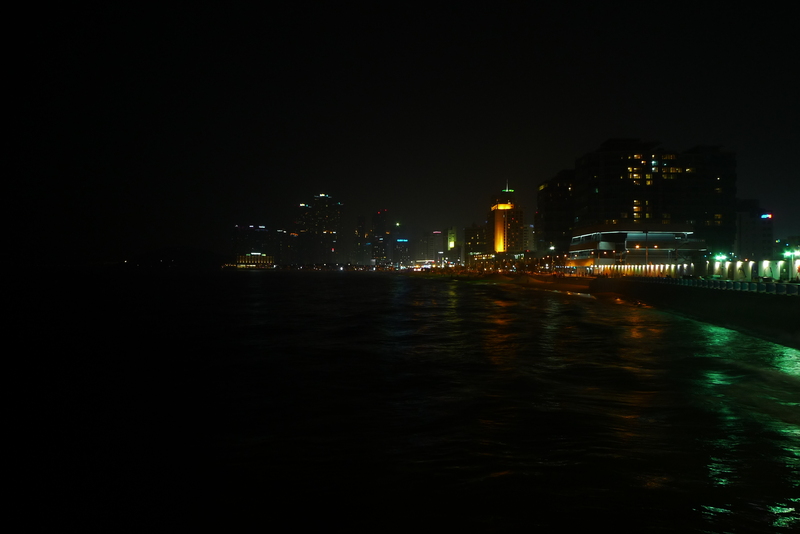 Crossing the city by bus and subway, we went to the central harbor. 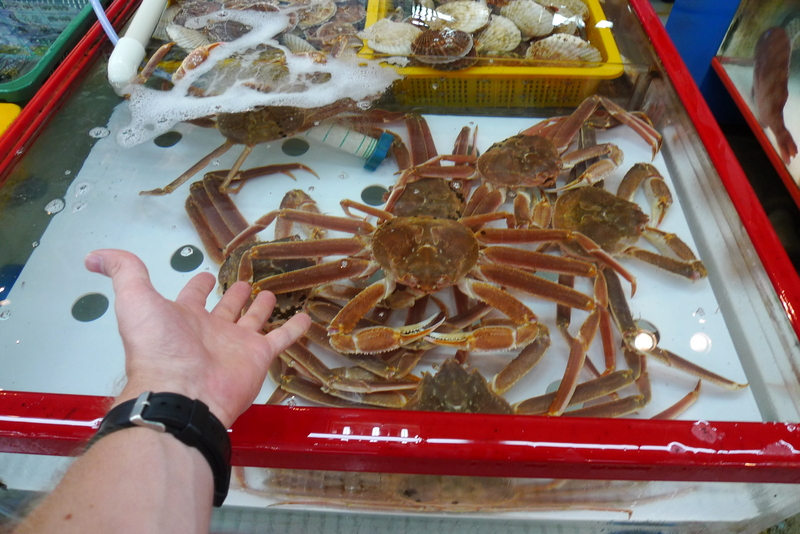 A short walk then brought is to the fish market. Maybe it is the lack of market culture where I come from, but I enjoy markets, just walking about looking at various things you can buy. 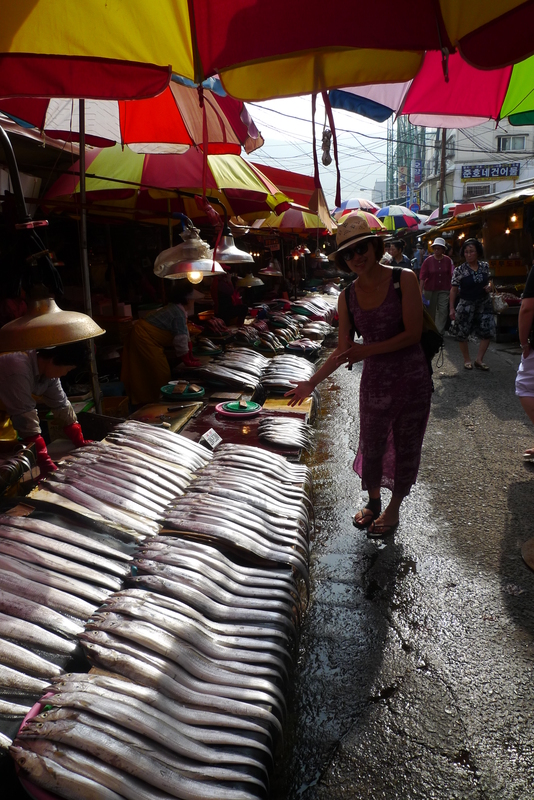 Clothing and whatnot are pretty common market wares, and so is fruit and vedge, but sea food is a whole other thing. 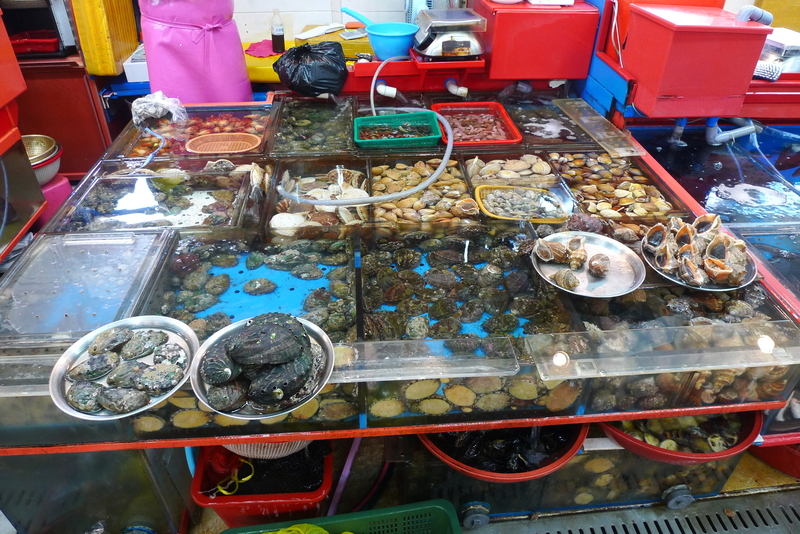 The vendors display the still living fish and shellfish in big tanks, constantly pumping in fresh water, with a steady overflow onto the floor. 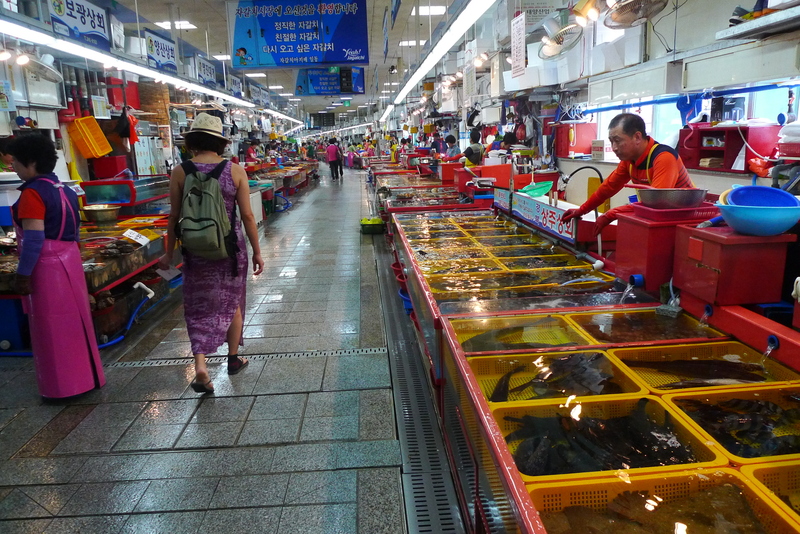 There was an incredible amount of different sea creatures, more different kinds of clams than I knew existed, and when you thought you seen it all, you came to the section of dry goods, heaps and heaps of dried fish in different sizes. An interesting experience to say the least. 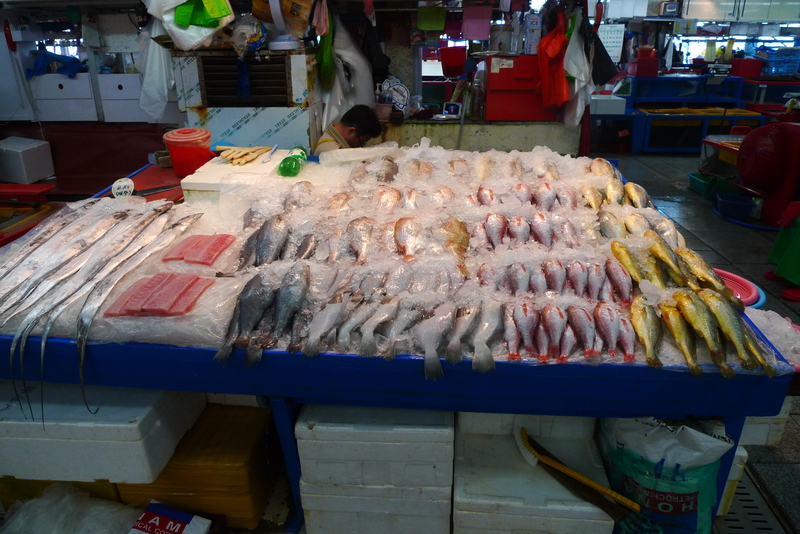 From the fish market we continued to a far more common, and less fascinating grocery market, some vendors still selling seafood but others selling vegetables or other things. The third market in the district was a more normal clothing market, we walked along the stalls on our way back to the subway. For dinner we had some very tasty barbecue in a shop near our hotel, then planned to go on a night cruise of the city. While waiting for the cruise to start in a cafe across the road, I didn’t realize my watch was lagging and missed the time. There were no more cruises for the evening, but at least we got a refund when we showed that we were clearly on time according to my watch.